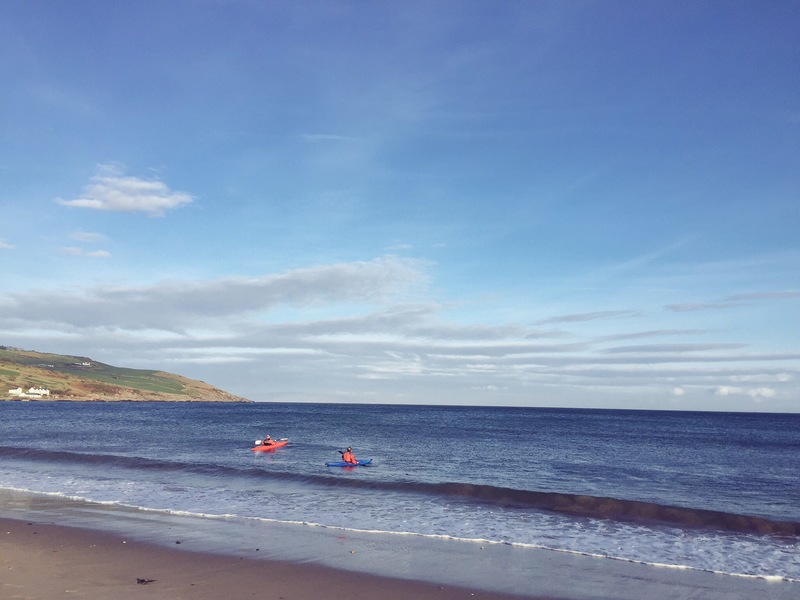 Cushendun- what a difference a week makes! Barry and I spend most weekends in Cushendun where (if you’re a fan of Game of Thrones), the caves are situated in which Melisandre gives birth to her “shadow baby”. Cushendun is a small village in the Causeway Coast and Glens which is National Trust-owned. The charming village has always been somewhat of a hidden gem but has grown in popularity over the past few years due to its connection with the HBO fantasy series. 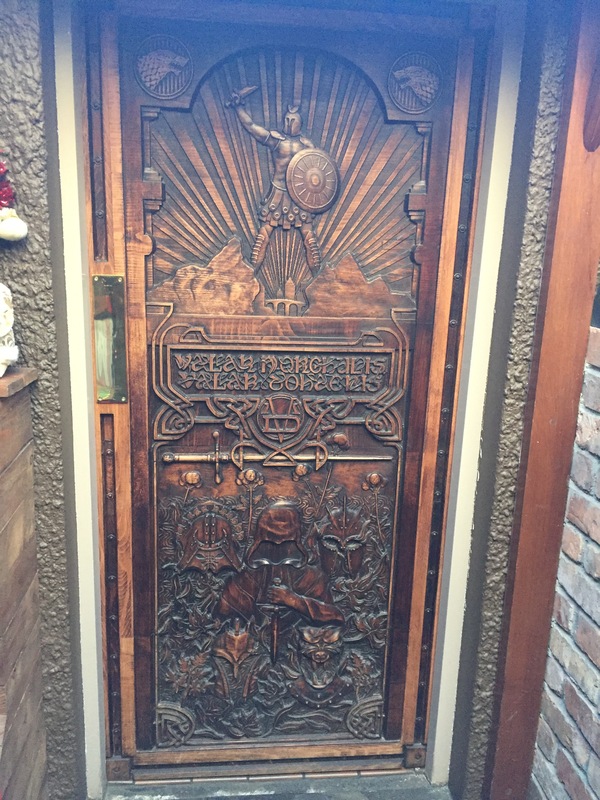 As well as the Cushendun Caves, the local pub, Mary McBrides, houses one of the “Door of Thrones”, a tourism initiative which saw a series of doors unveiled in restaurants and bars across Northern Ireland. The doors have been carved from fallen trees from the ‘Dark Hedges’. I wasn’t due to give birth until 14th January so Barry and I decided to spend the few days between Christmas and New Years in Cushendun. Plenty of time, I said! The baby isn’t due for another few weeks, I said! But alas…. 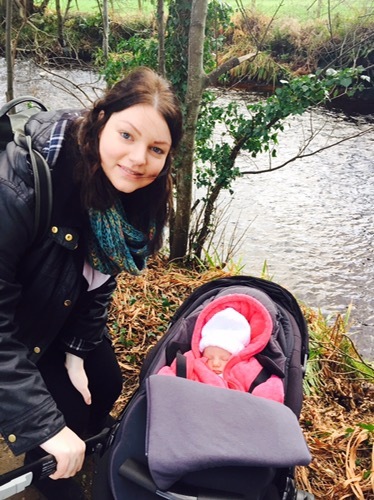 there I was on 30th December when the little one decided she would quite like to be born in Cushendun! Yes, I went into labour over an hour away from where I was due to give birth in the Mater Hospital! So, we abandoned ship and made our way down the road, hoping I wouldn’t have the baby on the hard shoulder of the M2! Thankfully, I didn’t – and in fact, it wasn’t until 27 hours later that little Niamh was in my arms. My waters broke at 1opm on Friday night and she wasn’t born until 1.10am on Sunday morning! But, it wasn’t long until we where back up in Game of Thrones territory. 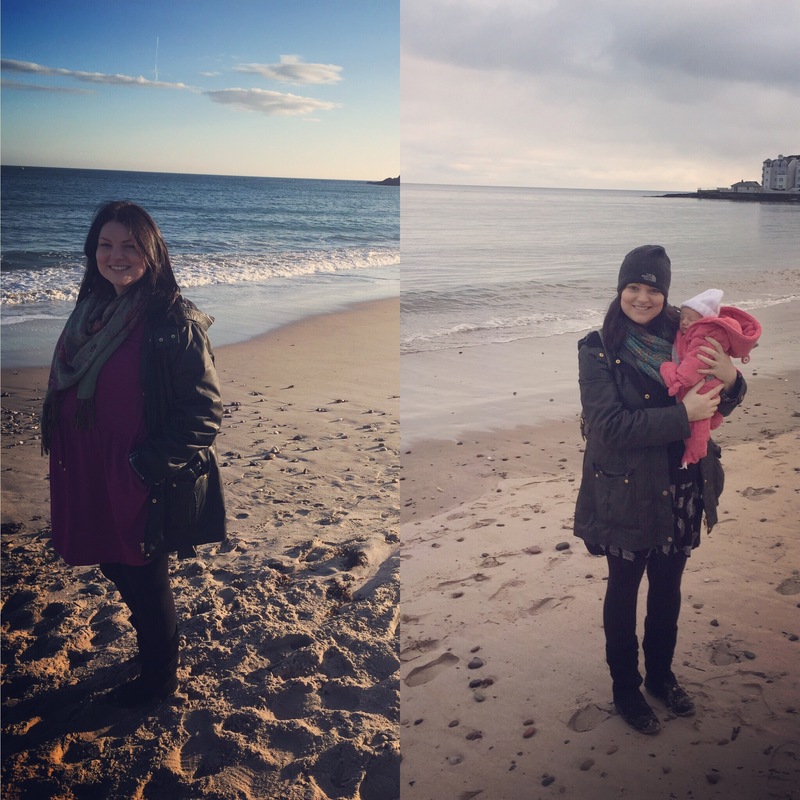 Yes, a mere five days after giving birth I was in Cushendun, walking the beach and having my first Gin and Tonic in 9 months in Mary McBrides. We didn’t waste any time, eh? One week later- what a difference a week makes!